Life in Dubai is not a bed of roses it is a bed space (uhuh). If you're planning to work here as an OFW, brace yourselves with a lot of different experience that you will encounter. My advice sit back, relax and enjoy Dubai. For almost seven years, I am still on the look for that perfect accommodation. I had tried living in Al Satwa, Al Karama and other parts of Dubai still I have this feeling that I need to moved out of my accommodation after 2 years. 1. A flat should be clean, as much as possible the owner should have a cleaner that cleans the whole house every day. Why? Because if you're sharing the flat with 14 other people you cannot expect the whole house to be perfectly clean always, there will always be some rotten house mate who does not mind living in a pile a garbage. 2. A clean kitchen with complete facilities. This is a must. How can you prepare your food on a dirty kitchen? I swear I am so particular with the kitchen, if I see that the gas stove is dirty that would be a no no for me. 3. A clean bathroom. In a two bedroom flat your lucky if you will be sharing the bathroom with 3 other people. I had experience sharing with 10 other people. Oh just imagine the crazy 15 minutes rule to use the comfort room every morning. 4. Not so nosy housemates. There are some housemates who would love to poke their noses in all the things that you do. Scenario no2: Housemate to me: What time are you gonna go home? Who's with you? Your dress seems a little too slutty. I was like hello I am going to a bar, which means I am going a bit late, I'am with my friends and wearing a sleeveless top doesn't look slutty. 5. No to lend me some money housemates. I almost lost my wit when one of my housemate was borrowing a good 'ol 2000 aed to pay her debts. I am not greedy, I do lend money but the question is are we close??? 6. A place near a Metro station because it so hot to walk under a 45 + degrees scorching heat on summer season. 7. A nice land lord. Oh please a lot of land lords here especially our own Kababayan will totally ripped you off. Seems so easy to find but no it is not. Where I 'm staying in right now seems to fit the above criteria except that I don't like my new room mates. Sorry but that's the truth, I don't want to go into details why I don't like them as this blog entry will have a multiple parts. There are a lot of options that I've been thinking if I would move out. First is to still be a bed spacer or i might rent a partition or get my own room or if I really want a comfy place then I need rent a studio or 1 bedroom flat. Below are some photos I've got in the internet (Hello GOOGLE) that describe the different types of accommodation in Dubai. These photos are for visual purposes and I do not own them. 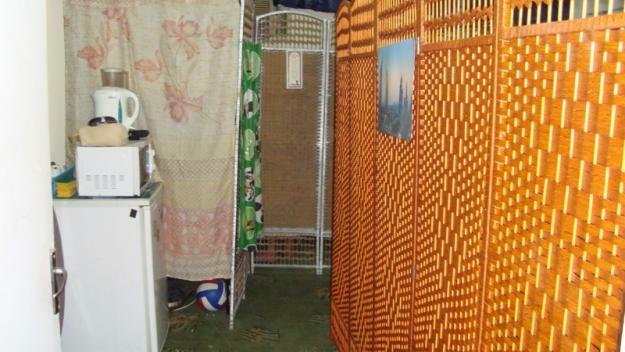 This is a very clean bed space for rent and this can go on my to visit list. Rents have different rates. if you decided to get the upper part, it would be cheaper as you don't occupy a lot of space, lower portion has a higher cost. Also rates depends on the location, if the flat you are eyeing is near the Metro station expect the cost to be at 650.00 AED to 750.00 electricity and water is sometimes not included so is the internet. Some flats will have 10-20 tenants all bed spacer. 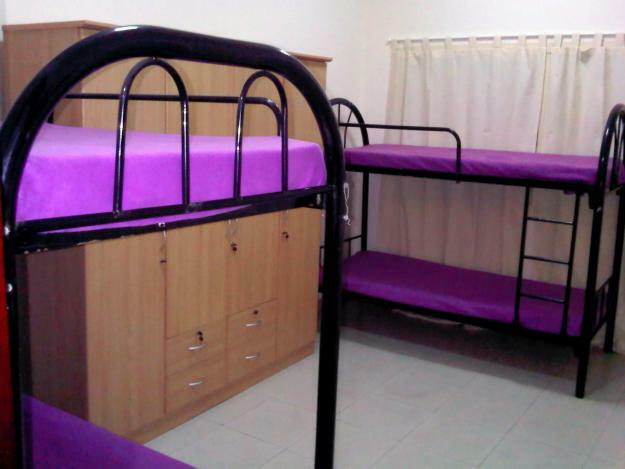 1 bedroom will have 4 bunk beds and 8 people will occupy it. Such horrors eh? I mean if you're so used to having your own room in Manila you've got a lot of adjustment thing to do. The common arrangement in a bed space set-up. Lower bunk beds with curtains to add some privacy. Okay this one will be a bit hard to explain. Imagine a big hall and was divided and into 3 enclosed by a wall, a divider or a curtain to make a room. Or sometimes a room within a room. 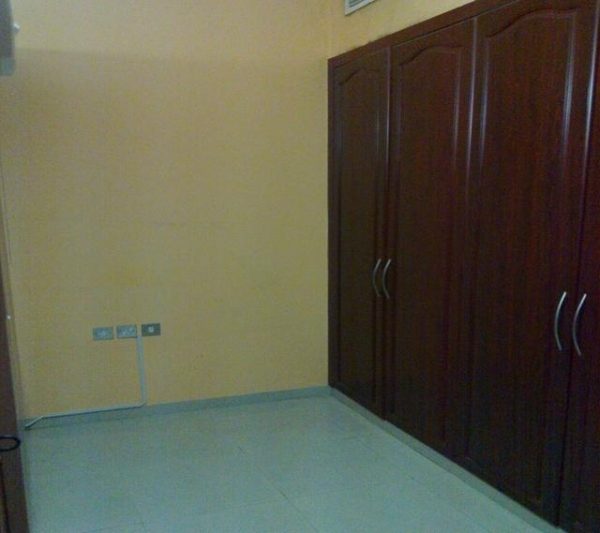 Oustide of a partition room. The space seems so big. Seems clean also. This might be a contender to my to visit list. And this one is a BIG NO NO for me. 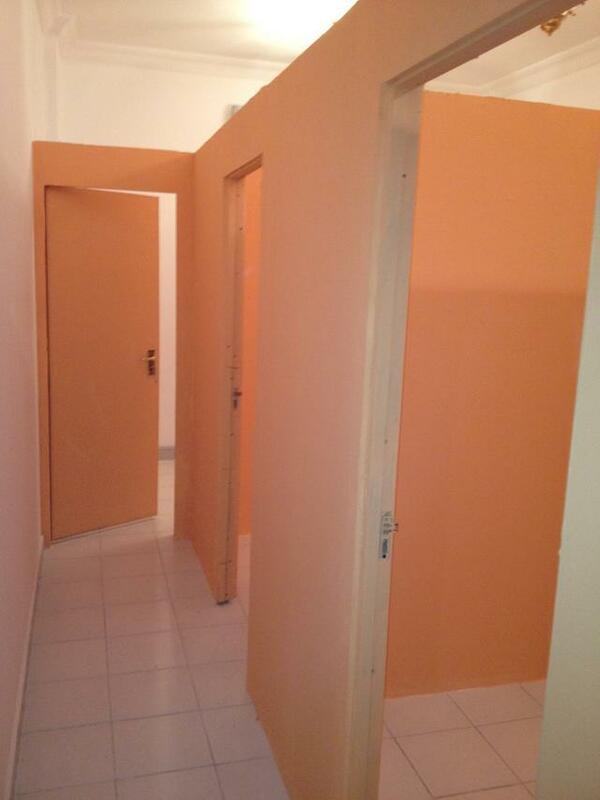 A partition can cost you from 1,200 AED - 1,800.00 AED depends on the location and how it was done. Sometimes electricity and water is included with the rent. If I decide to rent my own room, this will cost me around 2,500.00 AED (small room) to 3,500.00 AED (master's bedroom with attached bath). I find these rate expensive for somebody who gets a minimum salary this will hurt my pocket a lot. But hey, you need to pay some cold cash to be comfortable. A 1 bedroom apartment will cost me around 4,000.00 AED (area would be Bur Dubai). Now you can see how expensive it is to live in Dubai. Also along with renting your own flat comes a lot of payables like DEWA (water and electricity), internet, gas and others plus the fact that you need to shell out some 15K to 20K aed to pay the deposit and advance rent, agents fee. Now I am so confused. I want to stay in my current flat but I am also thinking of having my own little space because I have a lot of personal things with me (clothes and shoes). I hope I would come up with my decision soon. What I heard from my friend in dubai is that they are areallt renting flats and share the room for about 10-15 persons just to save some cash. It is really hard to work overseas. Cost of living there is high....It's best talaga if the employer gives you a good package, even just shouldering the place you will stay. Otherwise, you really have to make do with those flats where you have that MANY occupants. I probably wouldn't last in that kind of set-up. Being away from home, I can do that...but not having a sense of privacy is just too hard for me. 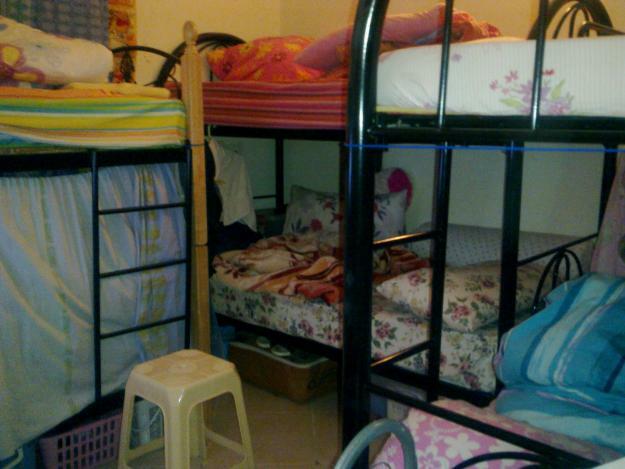 I like to have my space kasi and I just abhor those kinds of nosy room mates you described. it is hard....awww there's a lot of drama if you have these kind of housemates. That's what my kumare is telling me. House accommodation is very expensive there. I hope you can decide for the better. Good luck sis. I do hope you find a good place to stay and with good company! I had the same experience with you before. I was not in good terms with one of my room mates. The good thing was after 4 months, she left our staff house. Hope you can find your ideal place to live in. wow... i didn't realize the major adjustment an ofw needs to contend with. i truly salute our kababayans who work abroad. Oh...I didn't realize that it's that hard to work in Dubai with lesser options for accommodation. I just feel lucky that in my work place here in Cambodia, the company provided us with everything, a well furnished apartment and we don't pay any utility bills at all. Anyway, I hope you can find a perfect place soon. Hang on. I am hearing this kind of stuffs from my friends and relatives who visited Dubai few months back. Bedspacing and such, but hey, its cheaper compared if you will get your own room or apartment to pay on your own. It's really hard to work abroad. I'm here in Sharjah and currently living with my sister-in-laws' family. Me and my husband are on the job hunting for a year now and no luck yet. Our kids are with us as well. So imagine us looking for a place :( hirap talaga. Good luck on your house/space searching. It's really hard to live abroad because everything is limited and yet you're away from your loved ones. I salute you. Take care dear. My boyfriend will be working in Dubai this year or next. I guess bedspacing is the most practical choice, isn't it? Hope you can find your perfect place. Are those accomodations owned by Pinoys din? Wishing you wisdom and grace in the decisions you make. If you can find a way to be at peace with your roommate, then stay where you are. If you find something reasonable that would still help you save, then go for it... not easy! goodluck with your house hunting. and goodluck with the housemate, it's a big factor. I hope you find a safe and comfortable to live in. Personally, I'd prefer the partition room for privacy. The bed space reminds me of my dorm in college. It is always difficult to find good accommodations. Good luck in finding one that fit your style. I heard from a friend too that the flats in Dubai are very expensive. Sabi nila its better to work in Abu Dhabi than in Dubai proper because Dubai has a very very high cost of living. Goodluck on your search, sis! I know it can be tough sometimes as we all know Dubai has a very high cost of living. I've heard from friends such predicament about Dubai. Well, OFW life is really not a bed of roses. Somehow been there. i can share a room with one or two people. but 8 people?? that's too much for me to handle. I remember my college years when I was a bed spacer in Manila. It was hard, crowded and have to deal with different kinds of people. Luckily most of my board mates became my friends,some of them still get in touch via facebook. Continue praying and believing that the next time you find a place it will be one where you can have a better life and better set of friends.